Home - Afraid of Elementals - Enjin - At Death&#039;s Door, King No More! At Death's Door, King No More! @ Gore, I'm still figuring it out too. Hopefully in a few weeks we'll have all the kinks worked out. 4 progression bosses down in one night! Way to go AoE! Personal loot helper is now required. After a loot drop you get the pop up window. When we all hit whisper it caused problems on Tues. so what is the correct way to use the addon without the fear of someone cutting us? Back atcha Fuzzy! Congrats to you and Kris! GRATS ON GETTIN' HITCHED, FEV! We love you! Baby, don't hurt me. New kill! 1/11 Mythic lets get those screenshots on the front page! Grats on Aggramar! Let's see that killshot! HAPPY BIRTHDAY TO FEV AND ELM! Thanks for the 3 months Esti! Congrats all on 4/11 heroic first week! It's $8.99 for a month. Speaking of which, shout out to Fort for donating! What is the cost for 1 month to donate? Monster, monster? Where's the monster? Shout out to Chewy for donating! Again! 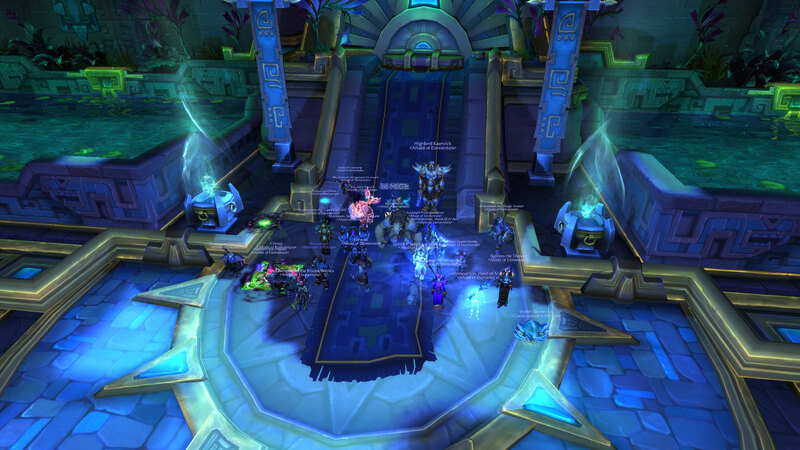 Grats on the second mythic kill! Shut out to Fevion for donating some of his hard-earned monies to keep the website up and running! The gunslinger is Roland Deschain, son of Steven. descended from a long line of Gunslingers. Gunslinger? Who is that guy? Shout out to Pally-sama for a fun, new thread. Check it out! Full logs are up from Tuesday. Will there be logs posted of this weeks Tuesday's raid? Someone post the High Botanist kill on the front page! Thame too! You guys are awesome! Shoutouts to Chewy for making us fancy again! Silly Jer, remember that you like 13 year old girls!